Boxes upon boxes of negatives: it’s Anne Bryant’s unearthing, the first time she’s seen some her earliest work in years. Bryant is not only rediscovering her work, but herself, as she puts her freelance photography talents ‘out there’ with a residency in Ron Chane’s Wonder Lab at Fondren Corner. A Fondren native, Bryant grew up riding her bicycle to Brent’s. When she was bitten by the shutterbug in high school, her first impulse was Belhaven College, studying under Gretchen Haien, a professor who lead a yearly trip to Italy. It was with rolls and rolls of film she shot there – and serendipity – that she was guided to a once-in-a-lifetime summer in New York City. After a few months of living in the NYU dorms in 2002, a “perfect and cheap” way for a young woman from Mississippi to experience the ‘greener grass’, Bryant’s friendship with and admiration of a photographer’s work there lead her to apply to Parson School of Design. She was accepted on a portfolio built from images of her Italian journey. 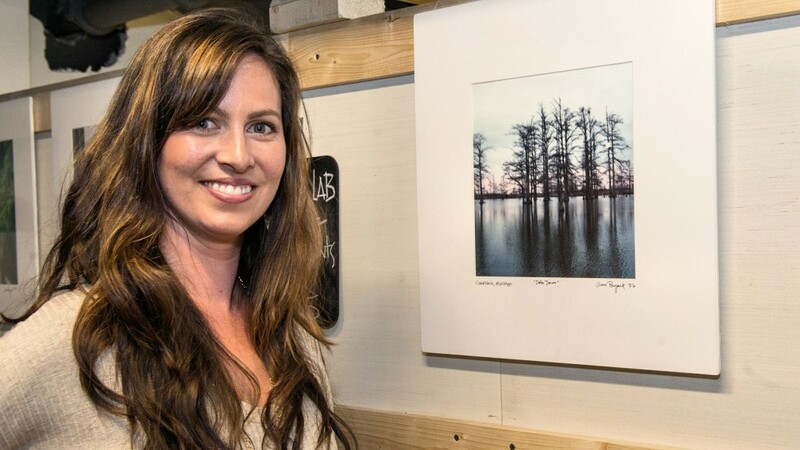 Four years later, her senior showcase displayed the beauty of Mississippi. “I missed the green,” Bryant remembers. Shooting for Niche Media (Hamptons Magazine, LA Confidential, Austin Way) gave Bryant a chance to experience and absorb fashion and news editorial photography. Soon after, her then fiance’s consulting job brought the couple to Singapore. Bryant’s work can be found on Thursday October 1 during Fondren’s First Thursday during The Wonder Lab open house. She’ll also be featured in the photography show, Best Before, alongside Maude Schuyler Clay, Langdon Clay, Richard McCabe, Ashley Gates, Jackie Losset, and David McCarty, opening October 15 at the Blaylock/Patterson studio on State Street. Bryant hopes to spearhead a more formal organization in Jackson for local photographers.